The game contains a highly complex system that keeps track of the family water and food rations, their mental well being, their general fatigue and sickness levels. 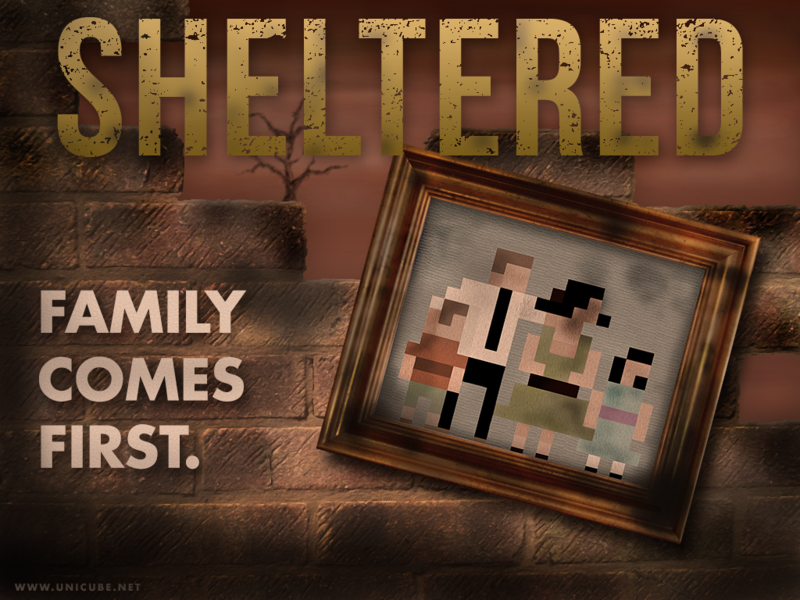 The player will have to send out members of their family (or possible survivors they have recruited into their shelter) to scavenge for supplies in the wasteland. There's a very fun combat system implemented that requires a lot of strategic thinking. A man, woman and two children are fairly easy game for the raiders that roam the wasteland. Each family member will have their own stats that will effect the combat resolve. To make a game of this calibre takes a lot of time. A LOT of time. We're two guys with a plethora of other commitments in our lives, but our top priority is making this game. With your help and support we can focus our time and attention almost exclusively on making the game the very best it can be. The game will be available for Windows (XP, 7, 8), Linux (Ubuntu based distrubutions) and Mac OS.We're also currently listed on Steam Greenlight, so please consider voting for us! Did Team 17 pick this up? Pretty cool.